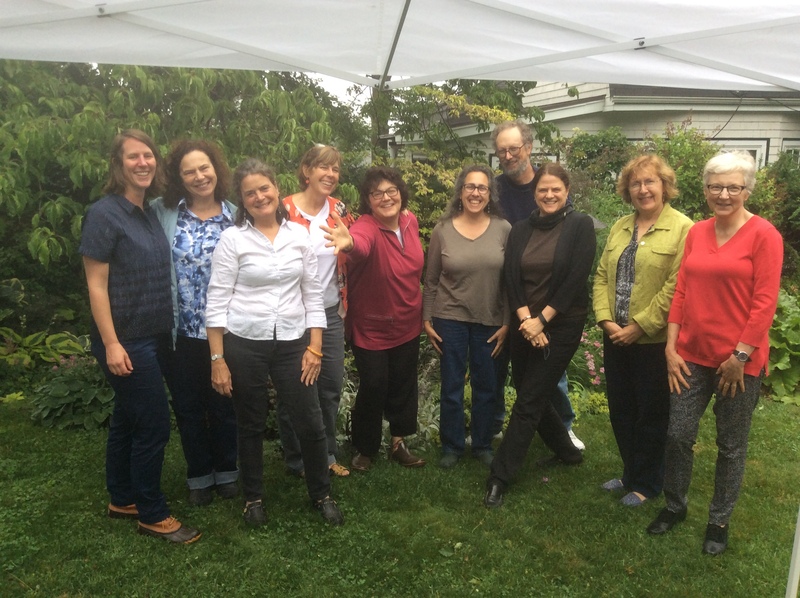 Our 2017 Plant Sale took place at the Roslindale Farmers Market in Adams Park on Saturday, June 3, 2017. 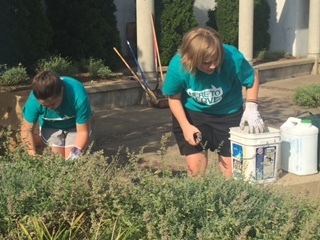 Again this year, we sold a variety of perennials, edibles, and shrubs from our own members’ and local donors’ gardens. 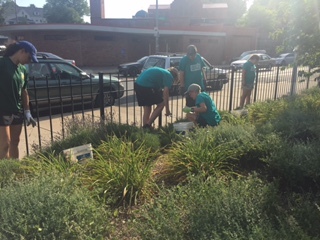 We’re most grateful to those plant and shrub donors and to the volunteers who set up and manned our booth at the Farmers Market. Finally, thank you to everyone who chose to buy from our large selection of plants and shrubs. Your purchases, we trust, will enhance your enjoyment of your gardens. 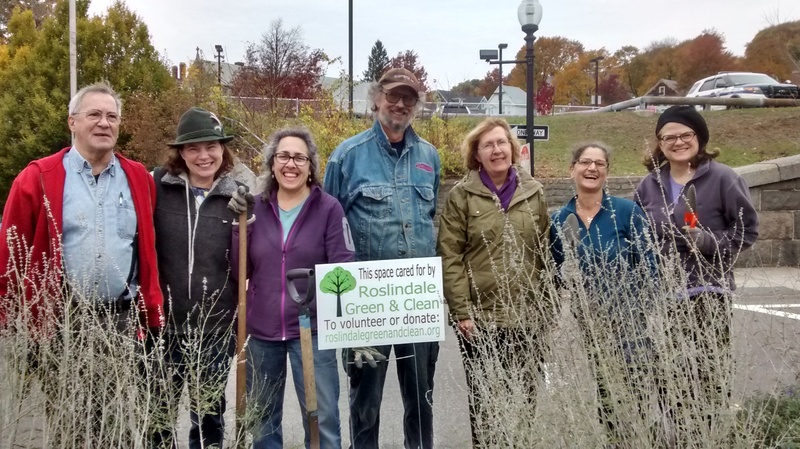 We know the purchases help fund Roslindale Green & Clean’s ongoing efforts to add to, support, and maintain Roslindale’s green spaces. Please join us or say hello to us at our Gardening in the Square sessions this 2017 growing season. Tranquil Lake Nursery in Reheboth, MA; Sakonnet Garden in Rhode Island; and, Barnes Arboretum near Phildaelphia, PA.
Join us for a pleasant evening reminding us that winter is just about over and the growing season is around the corner. 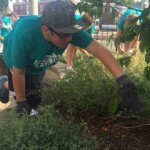 Join us for Gardening in the Square! 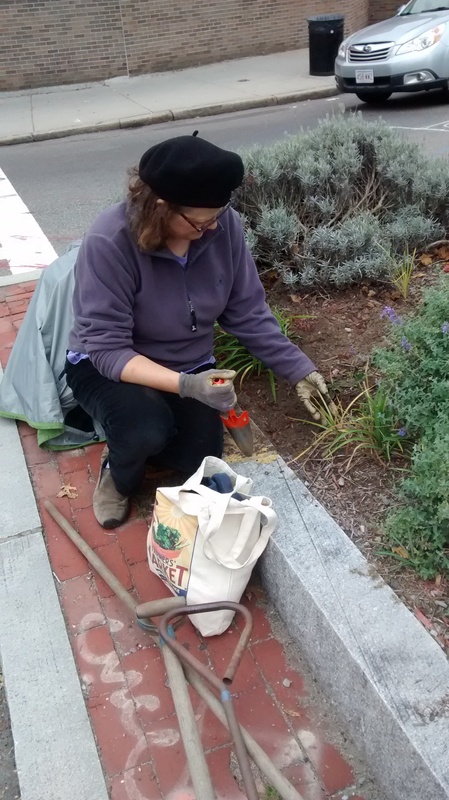 Saturday, October 29th at 9 a.m.
October 29th at 9 a.m.
We will be planting bulbs at Adams Park – at the corner of Washington and Cummins Highway. 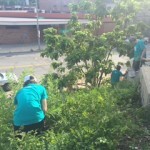 Be part of the effort to beautify Roslindale for next spring!!! 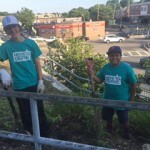 If you want to add beauty to your own little portion of Roslindale, buy your own bulbs and plant them using our guide below! One of the easiest ways to garden for impact is planting bulbs in the fall for brilliant flowers in the spring. Fall bulbs come in a wide variety. Some of the simplest ones are the minor bulbs, daffodils, and tulips. Minor bulbs (scilla, crocus, grape hyacinth), will come back year after year, and usually multiply, daffodils often bloom in the next years and sometimes multiply, and tulips are mostly an elegant one-time show, but oh so magnificent that first spring. Although you can buy bags or boxes of mixed colors, most bulbs come in a grouping of just one color and type, for example-10 grape hyacinths, 6 white darwin hybrid tulips, 15 King Alfred Daffodils. If you are just starting out with bulb planting, don’t overwhelm yourself with a hundred or five hundred bulbs. An extremely useful tool for planting bulbs is a bulb planter. 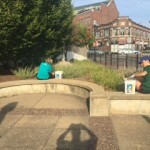 A spade or trowel will work, but the planter is really efficient. There are long handled planters, even powered ones, but get an inexpensive one at your local hardware store and you will be in good shape. So, go buy some bulbs, a mix of bulbs that bloom at different times is good. There are early, mid, and late blooming tulips and daffs, even crocus bloom at different times (some even in the fall). Bulbs should all be planted with the tips (growing end) facing up. 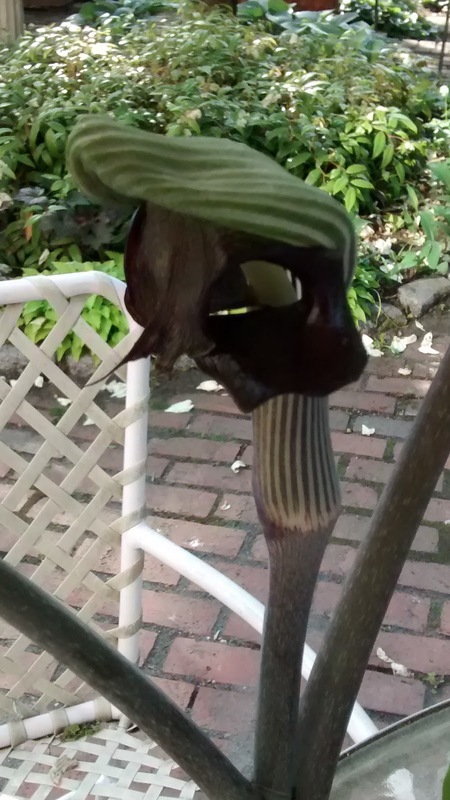 The flatter, wider end of the bulb has the roots. You will probably even see dry, brown roots on the bulb. Bulbs should be planted at a depth about 2 ½ times the height of the bulb, err on the side of a little more. Most bags and instructions will tell you how deep to plant. They may also tell you how close, but within a couple inches is ok. When you are planting, a bit of bone meal in the hole will give the bulb a nice start, and water in after the bulbs are planted. That’s it. You’ve made yourself a spring garden. If you have chipmunks or squirrels, you could get theft, try a screen over the bulbs or just as they come up in the spring, a nip of cayenne pepper over the tip. Won’t hurt the bulb, might keep the squirrels from nipping the tulip in the bud. 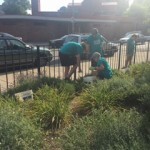 A group of volunteers from Atlanta, arranged through Charles River Church, watered, weeded, and deadheaded a few of the RG&C sites on a recent hot July afternoon. 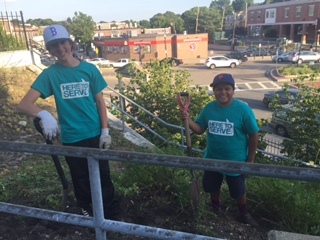 The group toiled, and broiled, working at Alexander the Great Park, the traffic islands at Belgrade Avenue and Robert Street, and the slope alongside the stairs going up from Robert Street to the Roslindale Village commuter rail stop. 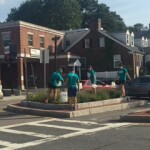 Thanks to all involved for helping to keep Roslindale green. 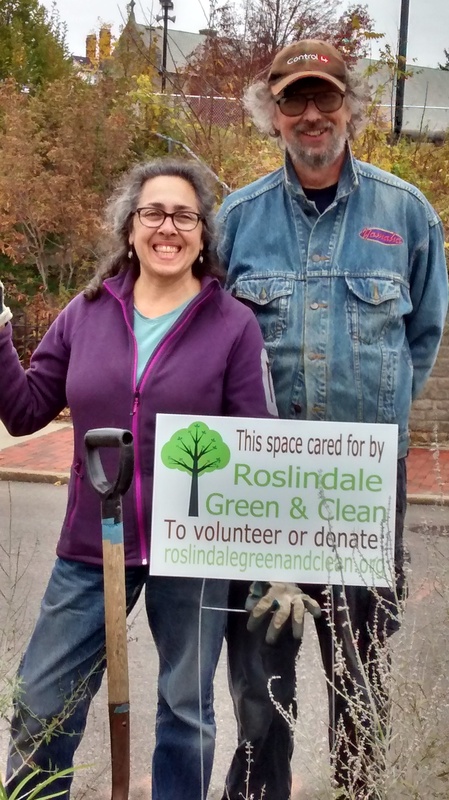 Roslindale Green & Clean will be having a plant sale on Saturday, June 11, 2016 from 9 am to 1:30 pm at the Roslindale Farmers Market in Adams Park. Divisions and seedlings from our members’ gardens will be for sale at very reasonable prices. 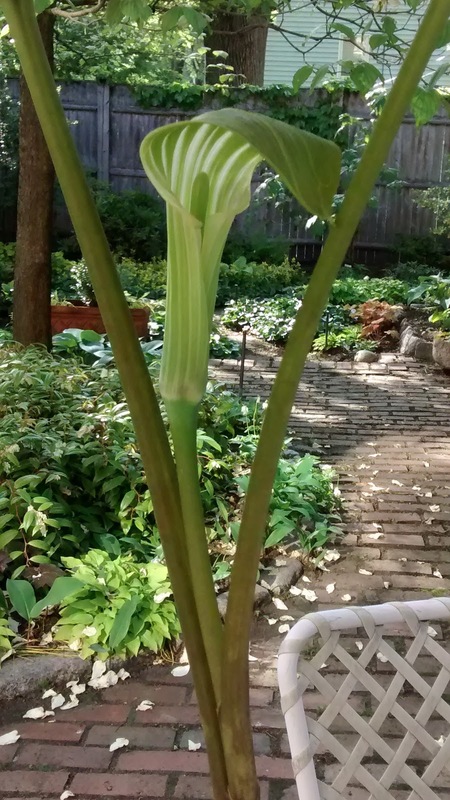 Take a look at these very special arisaema (jack-in-the-pulpit) donated by Claudia Harris – Roslindale grown and almost never available at this size. Though they have already finished blooming this year, they still look amazing! 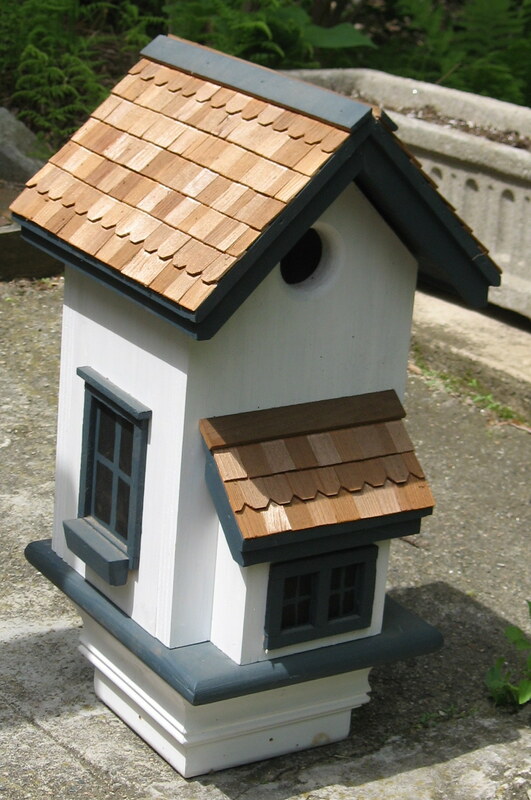 We will raffle off two arisaema as well as a lovely birdhouse shown below. 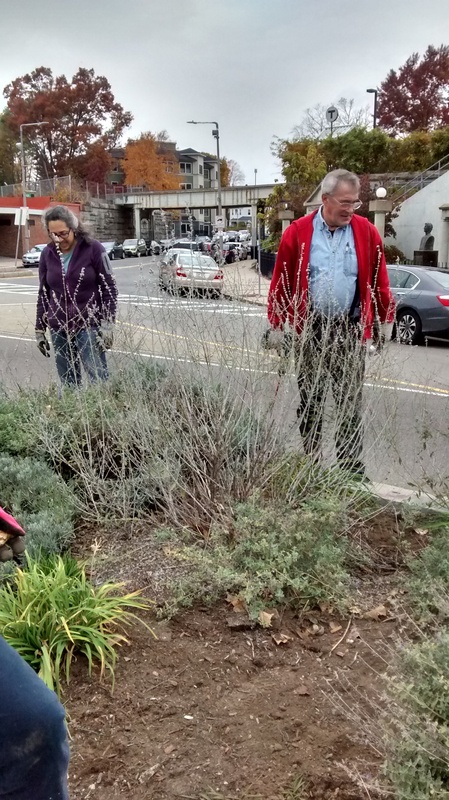 RG&C volunteers met at Adams Park on Sunday, November 1, 2015 to plant 450 daffodil bulbs provided by Boston Parks & Recreation. 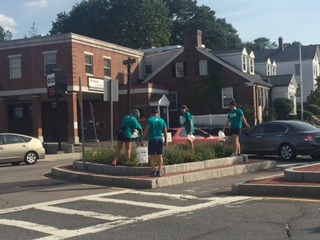 Next spring keep an eye out for the appearance of some lovely daffodils in Adams Park, at the Roslindale Branch Library, and at the traffic islands at Belgrade Ave and Corinth Street. 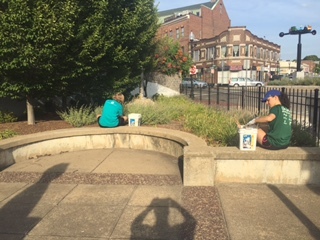 While Roslindale Green & Clean works on keeping public green spaces in Roslindale attractive, Roslindale residents are making and keeping their own properties attractive. 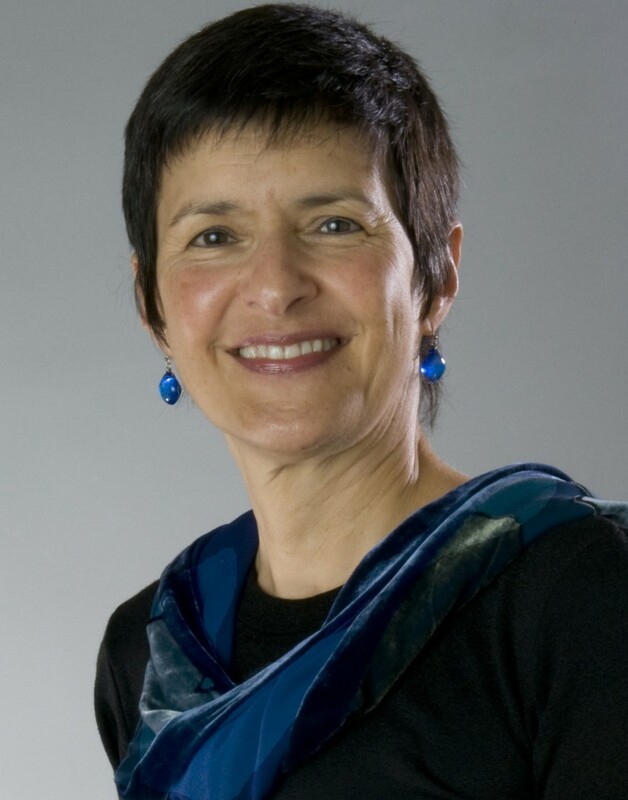 First Place: Aspasia Bakolas, Roslindale. 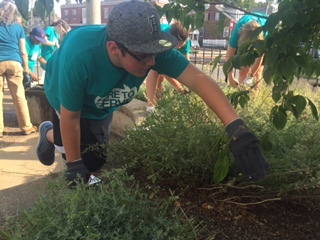 Our congratulations to everyone across the city who received recognition in this annual contest and to everyone who submitted their garden to the contest. You don’t have to receive an award to know how much you enjoy your own garden. 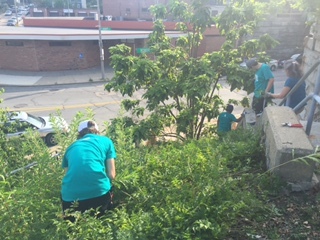 but the people who made it possible continue to work on beautifying Roslindale’s public green spaces.